This Pirate Soft Play Package is a fantastic package with a Bouncy Castle, Ball Pool, and Didi Cars, for your little ones parties! With its brilliant "bright colours", and great theme, it is sure to be a winning addition to your day. A great choice for toddlers and children. 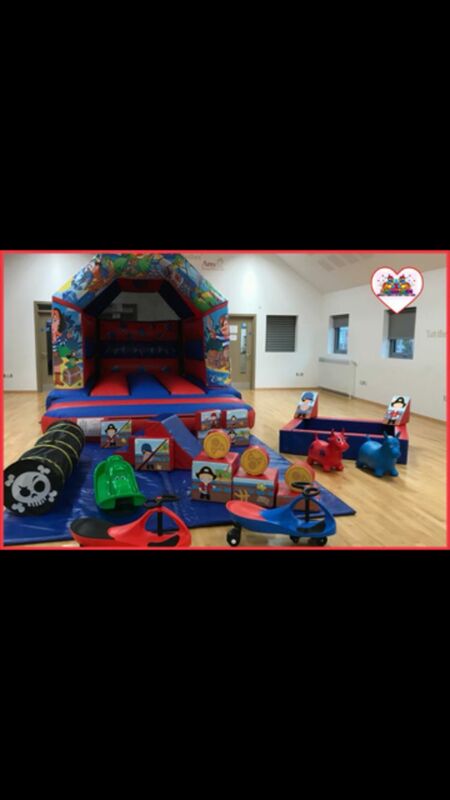 - Soft Play up to 5 years of age, and Bouncy Castle up to 13 years of age. The fun is sure to be had by all with this great Package. Our Inflatables and Products are cleaned after every use and tested to the latest industry standards. Please note: All prices quoted are based on a 4 hour period. This Soft Play package is only suitable for Indoor hires. If you are unsure if your venue is suitable please contact us before booking.